When you’re ‘jacked’ there’s nothing that feels better; people respect you more, your torso takes on that perfect V-Shape and everyone gives you that ‘in-awe’ double-take. However, there’s more that lifestyle than just hitting the weights and hoping, it takes nutrition as well – a lot of it, and it can be hard to stay on top of. And how they all combine to create the perfect balanced diet to build lean muscle and burn any unwanted fat. This is first thing Jason talks about and how important it is for building muscle. If you don’t have protein in your meal, it’s incomplete, and you’ll definitely notice the negative effects by how it slows down your recovery. You want to make sure you always get enough protein, but don’t overdo it, Jason recommends keeping it around 1g of protein to pound of your body weight. For example a 180lb guy, needs around 180g a day for ensured muscle growth, (however from our extended research you can lower that to 0.8g/lb if needs be). 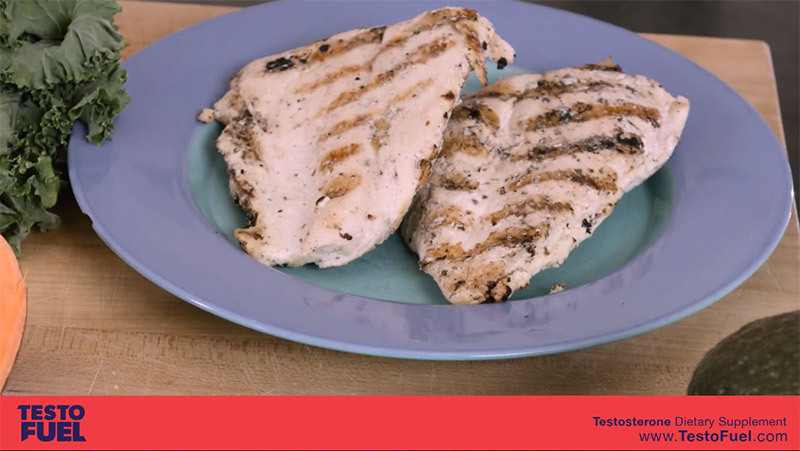 For a good source of clean and healthy protein, Jason recommends chicken breast as an option to build lean muscle. For alternative options he also suggests low fat beef or fish. For a vegetarian option, chickpeas and beans are both good sources of healthy protein. Whenever you start a new diet, the temptation is to keep your fat intake low as this will minimize your fat gains. This is not true. Taking in a sufficient amount of fat is not only good for your overall health, but it’s key to promoting your testosterone levels. Various studies have shown evidence of athletes on a high fat diet, having better performance and overall higher testosterone levels than those on a low one. There are plenty of ‘clean’ sources when it comes to dietary fat. One of the best nutrients Jason recommends when it comes to healthy fats are avocados and almonds. Avocados have the added benefits of potassium and fiber (which helps with cramping and detoxifying the body), whereas almonds contain magnesium which helps promotes the free testosterone in your system. The last major macro Jason covers are carbohydrates. There’s always diets out there that claim that carbs are the devil, and should be stricken from your foods choices. However, carbohydrates are not just good for your progress – they’re essential. It’s just finding the right ones that’s the challenge. Carbohydrates help with two main functions in the body; they’re a good source of energy, and they help your body recover. Complex carbs are perfect before a workout for long lasting energy. 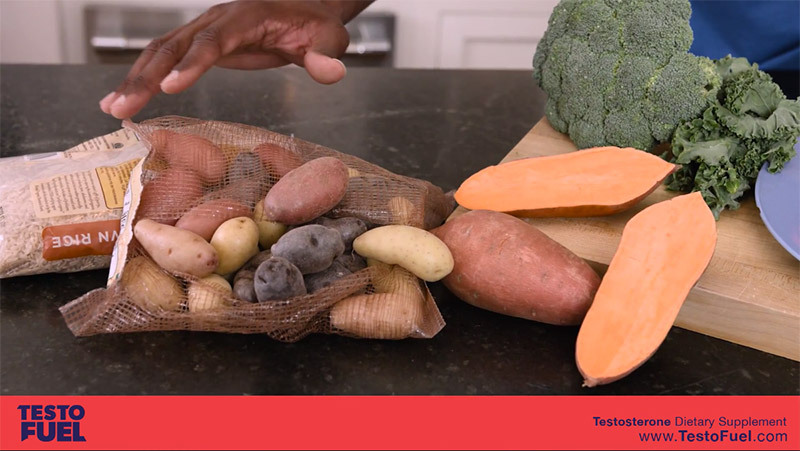 In terms of healthy carbohydrates Jason suggests, Sweet Potatoes, Rustic Potatoes and Brown Rice. These are complex carbs, and best to be taken pre-workout as they have a slow releasing energy to them. 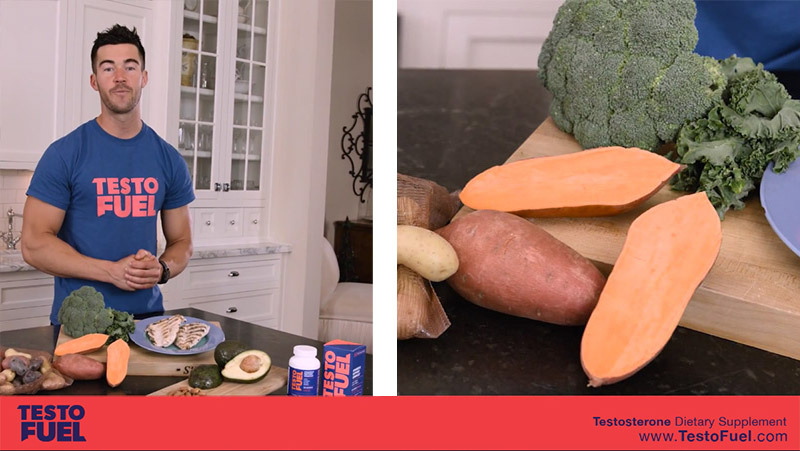 If you’re looking for more food to spruce up your diet and to continue to build muscle and burn fat, Jason recommends a generous amount of vegetables. If you’re hungry, or are just in the mood for a snack, vegetables are a great supply of vitamins and minerals, while also being a top quality source of fiber. These will help strengthen your immune system, and help flush out any toxins in your body. Overall, if you’re looking to improve your muscle mass, while still attaining that all-over leaner physique, Jason a complete balanced diet of healthy proteins, fats and carbohydrates. Missing out any one of these can lead to problems with your progress and overall development. Protein is important for muscle mass, while fats are great for your hormonal balance giving you the testosterone to help build more muscle, and finally carbs promote energy levels before a gym session, and can also help with your recovery. Is there anything else I can do to improve my diet? If you’re looking to lose more fat while increasing your gains, TestoFuel is the answer you’ve been looking for. As a natural testosterone booster, TestoFuel supplies your body with the nutrients it needs to support healthy testosterone levels and get the best results from your workouts. 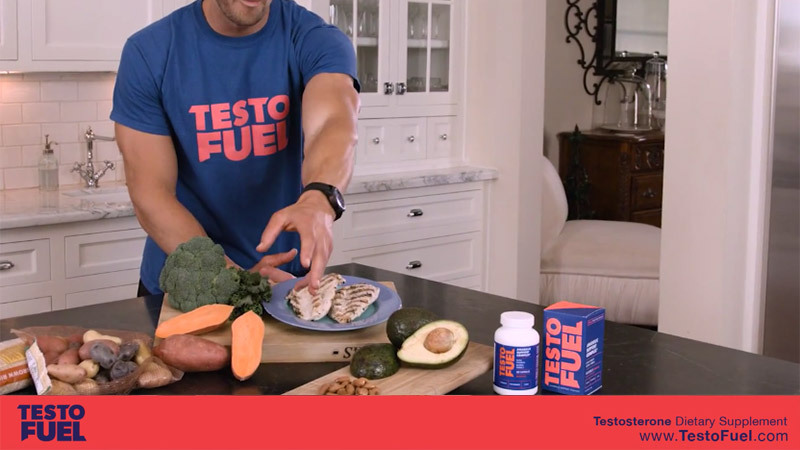 To find out the nutrients included in TestoFuel and how it can help you make more progress in the gym, click here to see our full ingredients page.